Uniform Code of Military Justice (UCMJ) is a Congressional code of military criminal law that is applicable to all military members. One section of the UCMJ deals with the punishment for any military member who is found to be drunk while on duty. (2) That the accused was found drunk while on this duty. (1) Drunk. See paragraph 35c(6). (2) Duty. “Duty” as used in this article means military duty. Every duty which an officer or enlisted person may legally be required by superior authority to execute is necessarily a military duty. Within the meaning of this article, when in the actual exercise of command, the commander of a post, or of a command, or of a detachment in the field is constantly on duty, as is the commanding officer on board a ship. In the case of other officers or enlisted persons, “on duty” relates to duties or routine or detail, in garrison, at a station, or in the field, and does not relate to those periods when, no duty being required of them by orders or regulations, officers and enlisted persons occupy the status of leisure known as “off duty” or “on liberty.” In a region of active hostilities, the circumstances are often such that all members of a command may properly be considered as being continuously on duty within the meaning of this article. So also, an officer of the day and members of the guard, or of the watch, are on duty during their entire tour within the meaning of this article. (3) Nature of offense. It is necessary that the accused be found drunk while actually on the duty alleged, and the fact the accused became drunk before going on duty, although material in extenuation, does not affect the question of guilt. If, however, the accused does not undertake the responsibility or enter upon the duty at all, the accused’s conduct does not fall within the terms of this article, nor does that of a person who absents himself or herself from duty and is found drunk while so absent. 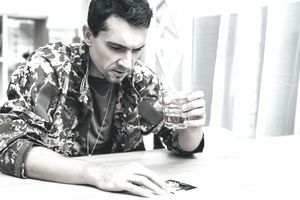 Included within the article is drunkenness while on duty of an anticipatory nature such as that of an aircraft crew ordered to stand by for flight duty, or of an enlisted person ordered to stand by for guard duty. (4) Defenses. If the accused is known by superior authorities to be drunk at the time duty is assigned, and the accused is thereafter allowed to assume that duty anyway, or if the drunkenness results from an accidental overdosage administered for medicinal purposes, the accused will have a defense to this offense. But see paragraph 76 (incapacitation for duty).